Birthday birthday oh what fun! Birthday birthday have another one! Birthdays have always been a blast in my family, including being woken up to the above song blasting downstairs! We would run down and have a mini family dance party to this song and have a magical day! Some parties and years were bigger than others but always making memories. 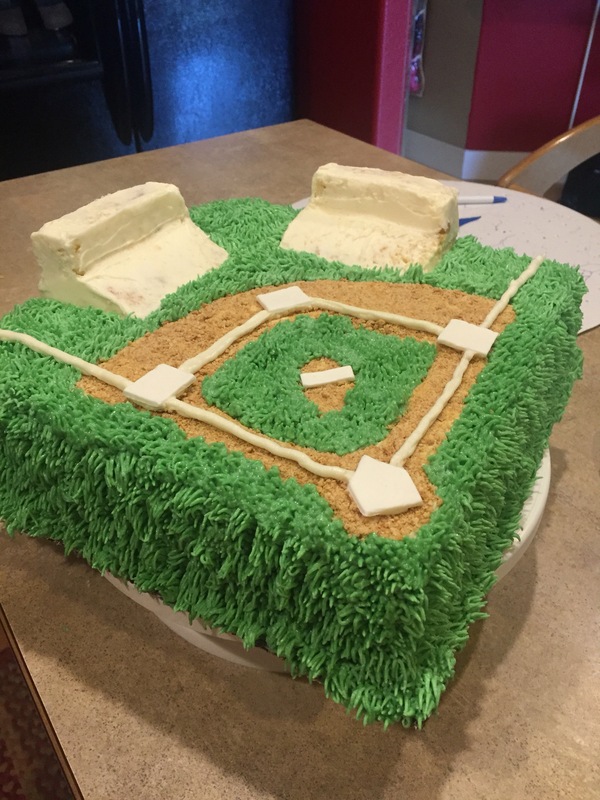 I truly enjoy my birthday cake orders to add an amazing and surprising element to a kiddo’s birthday party! 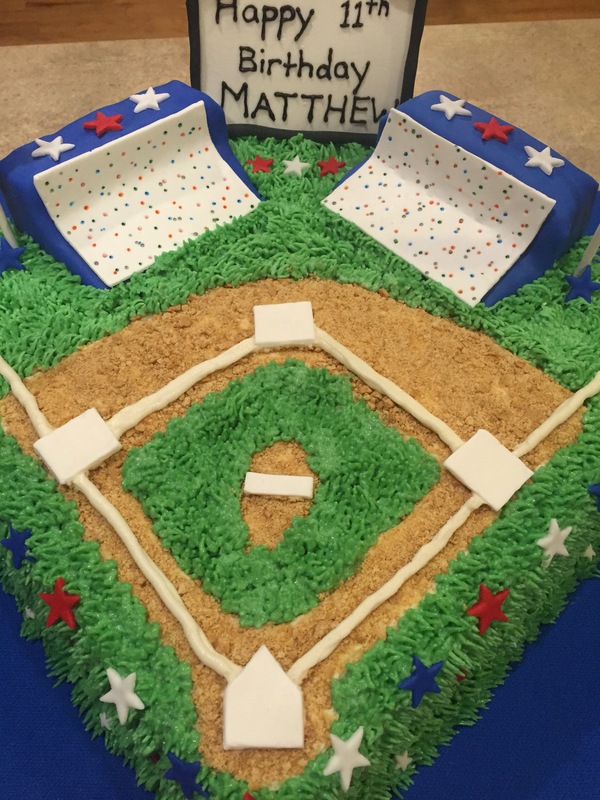 I recently had the joy of being party of an amazing little man’s birthday by doing his cake! 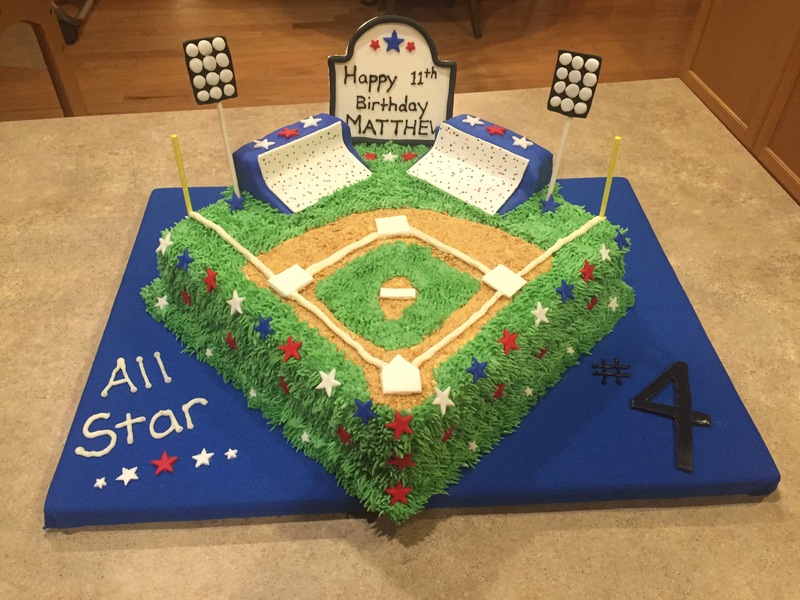 His mom asked for something with baseball because he always makes all stars and is amazing player with his first home run already under his belt at old! Well I hit a homerun with this one! 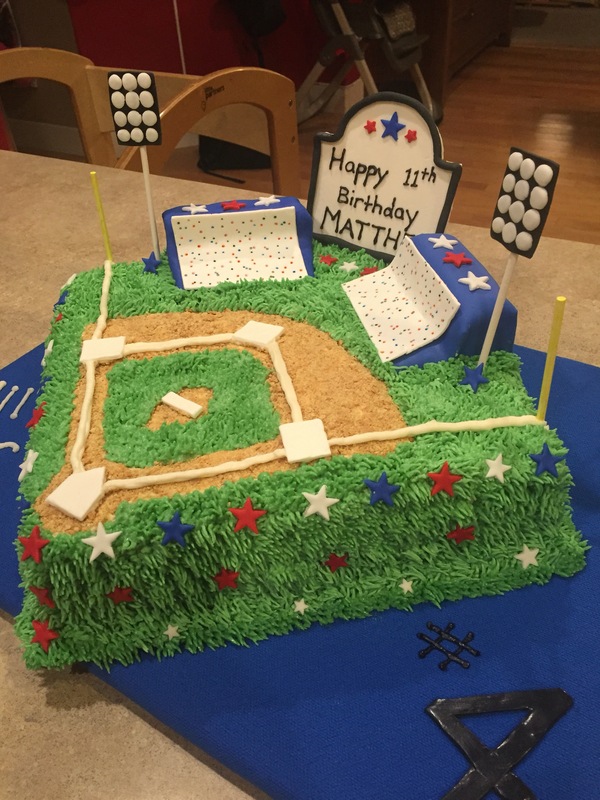 Not only out of the park but as his mom has told me, my cake is currently the home screen for an 11 year olds cell phone! WIN! 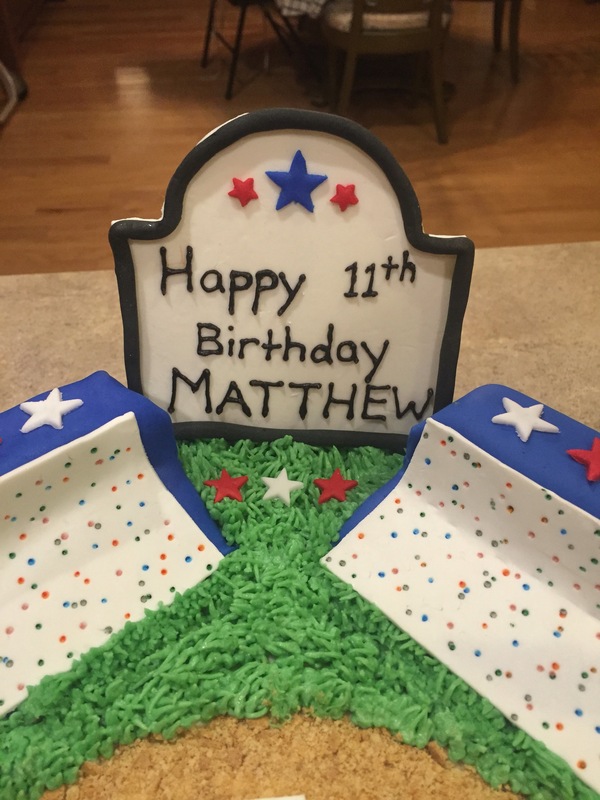 The decorations are a mixture of fondant and homemade modeling chocolate! 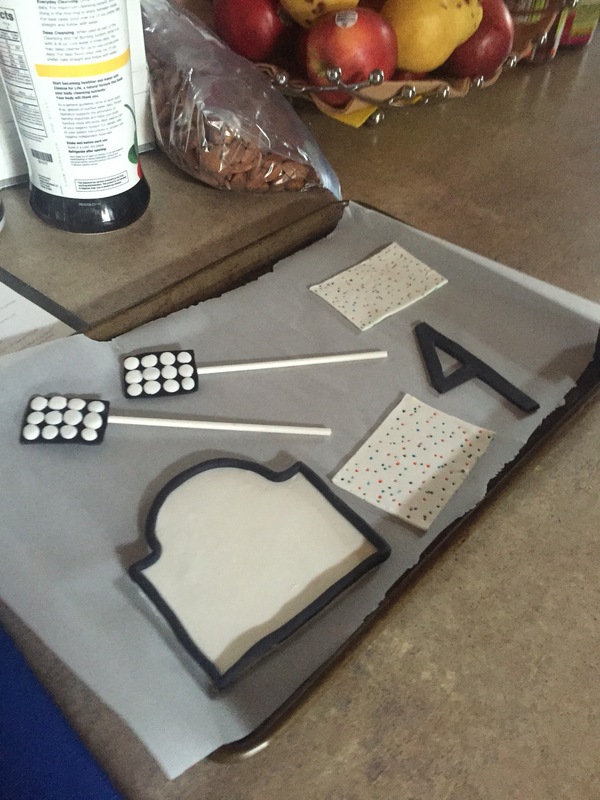 I love working with the modeling chocolate and it tastes WAY better than the fondant! Modeling Chocolate Tutorial in her video section there is a super easy modeling chocolate recipe/directions! 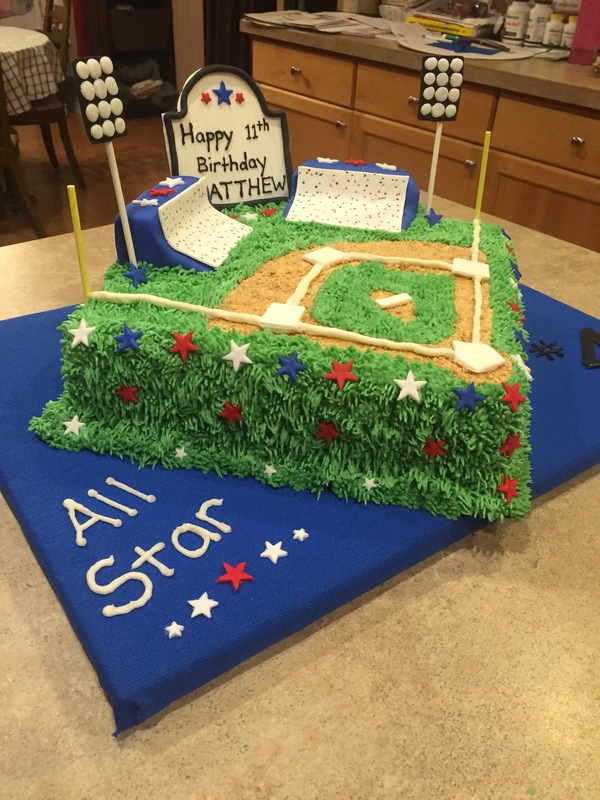 Hey now you’re an all star get your game on!